New Mexican photography fans are in for yet another treat from the Verve Gallery of Photography. 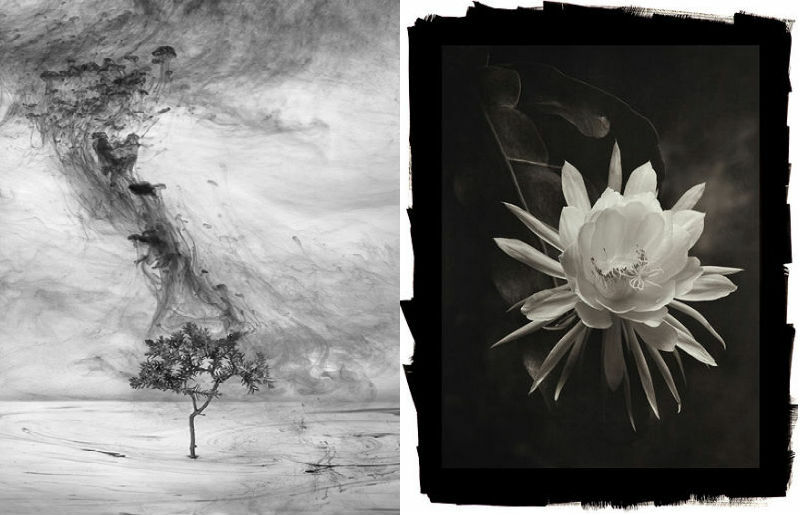 Their most recent gallery juxtaposes the surrealist psychadelia of photographer Von Chu against the lugubriously dramatic florals of Cy DeCosse. Van Chu is a Vietnamese artist who came to the United States in 2001. He was awarded his MFA from the University of Utah in 2010 in digital imaging/photography. Van’s work and his passion are to push the boundaries of photography. His creative technique gets away from photography’s foundational role of making an image that accurately portrays what it represents. Therefore, his artistic energy is to create, not to capture. His minimalist style is decidedly reminiscent of traditional Chinese paintings in their symmetry and deceptively simple lines. Of his work Van opines, “That Asian part of me is really coming out. It’s projecting on every piece of photography I do.